Since 1976 Dayton Quality Starter has been providing the Midwest United States with high-quality auto electrical products and great customer service. We service cities, counties, school districts, car dealerships, auto parts stores, heavy duty construction groups and garages. 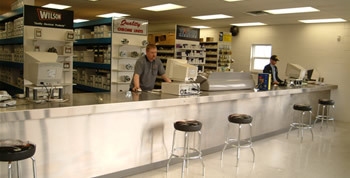 We pride ourselves on same day service on products and repairs with our large inventory. Our professional staff has over 100 years of combined experience and are here to assist you. Our business is built on lasting relationships based on honesty, trust and respect. Call Now!